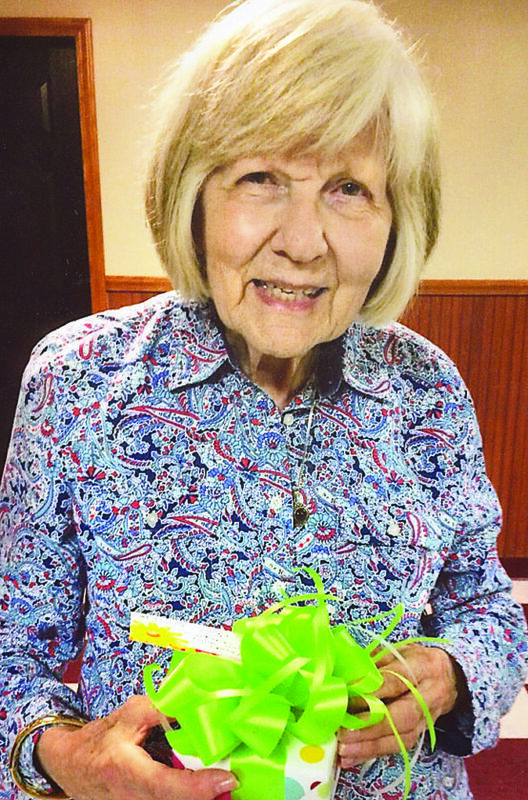 NEW CUMBERLAND — Outgoing president Joanne Hobbs was honored at the June 27 meeting of the Chester Garden Club (formerly the Chester Arts Club). She was club president for more than 25 years and has served the club by chairing and organizing district and regional meetings, attending state conventions, soliciting Chester homes for the Hancock County Holiday Home Tour, providing teacher appreciation treats and reading aloud at Allison Elementary School. She also has spearheaded charity donations to many local organizations promoting services for children’s education and nutrition program, flower planters along Carolina Avenue and blood drives. Joann Lange is the new president, and Wendy Lemasters is the new vice president. Jeanne Geibel is the incoming secretary, and Mary Ann Wright remains the treasurer. The Chester Garden Club meets the fourth Wednesday of the month at E.J.’s Restaurant. Ladies of the Chester area are invited to join the community-oriented club.